Synopsis : We now know that humans are predominantly social beings and that their sociality does not lend itself to the purely functional society in which modern economics seems to reside. The question that arises is whether economics’ claim for universality and ethical neutrality can survive such acknowledgements. 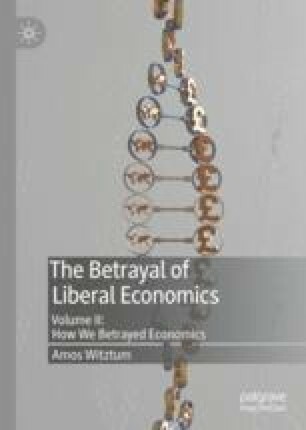 In other words, can the main building block of modern economics—the conception of the individual—accommodate the sociality we uncovered in the previous two chapters while maintaining the same organisational principle of competitive decentralisation as the universal recipe for economic organisation.